An Affordable Solution to Healthcare: Interview with Robert E. Herron, Ph.D.
America has the most expensive healthcare system in the world. Researchers cite the increase in chronic disease as a major cause of escalating costs and predict a 42 percent rise in chronic disease by 2023, adding $4.2 trillion in treatment costs. The good news is that chronic disease is preventable, since many chronic conditions are linked to stress and unhealthy lifestyles. Robert E. Herron, Ph.D., is an independent researcher, writer, speaker, and consultant in medical cost reduction and economic policy, and he is currently the director of the Center for Holistic Systems Analysis in Fairfield, Iowa. Dr. Herron’s new book, New Knowledge For New Results, presents a comprehensive strategy to reduce rising medical costs. While other researchers focus mainly on financial issues, Dr. Herron re-examines the underlying foundations of modern medicine. Here Dr. Herron talks about our current healthcare crisis and how the Transcendental Meditation technique can help prevent chronic disease and lower costs. Linda Egenes: As a nation, how can preventive measures help us to lower healthcare costs? Dr. Robert Herron: To say it in one sentence, by providing preventive treatment modalities to the people who consistently incur the greatest expenses, we could leverage the greatest reductions in overall medical expenses and end up with the lowest treatment cost for everyone. In most populations, a small fraction of people account for the majority of healthcare costs. In the U.S., for instance, the 10 percent of the population with the highest expenses incurred 60-70 percent of our total medical expenditures annually. In the Medicare population, the highest spending 5 percent incurred 43 percent of total Medicare costs, and 25 percent of seniors accounted for 85 percent of total expenses. Research shows that high-cost people typically have chronic conditions, which are affected by excessive stress. As we know, stress degrades the immune system and other physiological systems, such as the cardiovascular system and contributes to a wide range of physical and mental disorders. Prolonged stress also contributes to the unhealthy lifestyles that cause most chronic conditions—such as smoking, drinking, and abuse of drugs—which account for approximately 80 percent of national medical expenditures. Clearly, stress reduction will help reduce high medical costs. 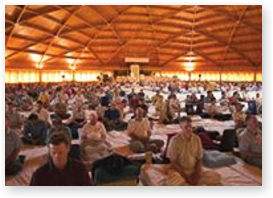 Because chronic stress is a leading driver of high medical expenses, if health insurance, Medicare, and Medicaid started covering the Transcendental Meditation (TM) technique, the most effective stress-reduction method as shown by research, it would be possible to greatly reduce skyrocketing national healthcare expenditures without cutting benefits, increasing premiums, or raising taxes. Linda Egenes: How does the Transcendental Meditation technique reduce stress? Dr. Robert Herron: When you meditate, your body experiences a unique state of physical and mental rest that eliminates stress and helps to balance and normalize all your bodily systems. The TM technique also makes the mind and body more resilient so you don’t accumulate excessive stress in the future. This improves health and reduces costs. In addition to stress release, however, there are other beneficial activities that occur during the TM technique. For instance, during TM sessions many researchers have found that brain functioning is enhanced, resulting in greater brain orderliness and coherence, which also increases intelligence and creativity. Disease is a state of disorder or imbalance in both mind and body. Because the brain controls most systems in our physiology, if we make the brain more orderly, then the entire body also becomes more orderly and healthy, including the heart. That is why the research shows that when we improve health with the TM technique, there are corresponding declines in all disease categories and medical costs. Linda Egenes: I understand that you’ve published a number of research studies on healthcare costs. Can you talk about your research? Dr. Robert Herron: The most recent study was published in the American Journal of Health Promotion in 2011. The results indicated that people with consistently high doctors’ bills experienced a 28 percent cumulative decrease in physician fees after an average of five years of TM practice. Even after the first year of meditation, the TM group’s physicians’ bills declined by 11 percent. What did these findings mean? First of all, the research demonstrated that the largest and quickest reductions in medical costs could be achieved by providing the TM program to people with consistently high healthcare costs—the very people who are driving up the costs of healthcare today. Secondly, it showed that a nonmedical intervention, the Transcendental Meditation technique, resulted in a statistically significant decline in healthcare usage that persisted for five years. In other words, with the group that practiced TM, the number of times they visited the doctor was less at the end of the five-year study than it had been at the start of the study. This kind of decline in healthcare usage had never been shown before. Prior to this research, health economists and leaders hoped that someday the best interventions might be able to, at best, slow down the rate of increase in medical expenses. Thus leaders in the field of healthcare had never even imagined that a decline in healthcare usage would be possible for this group of chronically ill patients. Yet because the TM technique has such a powerful health-enhancing effect, the impossible has become the common experience of people who meditate regularly. Linda Egenes: That’s an extraordinary finding. Are there any other studies that indicate the Transcendental Meditation technique can create a decrease in healthcare utilization over a long period of time? Dr. Robert Herron: Yes, several other studies also suggest this. For instance, a study by Dr. David Orme-Johnson, published in Psychosomatic Medicine in 1987, examined five years of health insurance data to assess the medical usage of 2,000 TM practitioners compared with controls. When compared with norms (everyone else in the health insurance plan of the same age and gender) and other groups of similar profession, the TM subjects had 50 percent lower inpatient and outpatient medical visits. This trend held across all age groups and disease categories. According to the clinically significant findings, there was 87 percent less hospitalization than norms for heart disease, and 55 percent less hospitalization than norms for cancer. This study and others demonstrating reduced healthcare utilization through the TM technique were published in peer-reviewed journals, and over 242 additional studies have been published in peer-reviewed scientific journals showing that the TM technique improves a wide range of mental and physical health disorders. Many of these studies were randomized clinical trials and meta-analyses. Several randomized clinical trials funded by the National Institutes of Health found that the TM technique decreases high blood pressure, improves heart function, reduces cardiovascular mortality, and decreases all-cause death rates. The body of research is strong. To me, it implies that we should make policy changes at all levels of the healthcare system to make this life-saving methodology of the TM technique available to everyone. Then we could begin to halt the epidemic of stress-related diseases that are causing unnecessary suffering and driving healthcare costs higher. Linda Egenes: I understand that the TM technique has also been shown to be a cost-effective way to treat mental disorders such as chronic anxiety and Post Traumatic Stress Disorder (PTSD). Dr. Robert Herron: Yes. Three research studies that evaluated the impact of TM practice on veterans who suffer from PTSD found dramatic declines in negative tendencies, as well as increases in happiness, harmony, positive attitudes, and wholesome, productive lifestyles. The numerous testimonials from these veterans indicate that the TM technique completely changed their lives and, in many cases, saved them from suicide. These early studies are now being repeated in other settings with many more veterans by the Department of Veterans Affairs and Department of Defense. Linda Egenes: Based on your research and knowledge of the healthcare system, what would it take to get a preventive program such as the Transcendental Meditation technique widely adopted? Dr. Robert Herron: For a preventive program such as the TM technique to become widely adopted, the federal and state governments and health insurance organizations simply need to examine the entire body of TM research that verifies its health benefits. Then, in the best interests of their constituents and consumers, they could provide full insurance coverage for starting the TM technique as soon as possible. Governments would save large amounts of money and would be able to balance their budgets more easily. So the solution is simple: just add a TM benefit. If the TM technique were made available to the entire population, it could become a powerful means to prevent disease and enhance happiness and progress in all areas of life. Today, the Transcendental Meditation technique is widely accepted as an exceptionally effective way to reduce stress and anxiety, gain inner calm and clarity, and improve health and brain function. Remarkable as these benefits are, there is another benefit that comes as a spontaneous by-product of Transcendental Meditation practice—a healthier, happier, safer, and more peaceful world. You might first think that, sure, if we can get everyone in the world to meditate, then we’d begin to see a world like this—but getting everyone in the world to meditate could take generations. Fortunately, there’s a shortcut. In the early 1960s, Maharishi predicted that if just 1% of the world’s population practiced the Transcendental Meditation technique, this would be sufficient to create increasing peace for everyone. Maharishi’s prediction was confirmed in the early 1970s. By 1973, the number of people who had learned the Transcendental Meditation technique had reached 1% of the population in a number of US cities. Studies found that as soon as these cities reached the 1% threshold, crime trends decreased significantly—while in matched control cities, crime continued climbing. The decline could not be attributed to other factors known to influence crime rate. Another study found drops in automobile accidents and suicides. rime, accidents, and suicides are all expressions of social disorder. So when all of these variables drop simultaneously, we are seeing an underlying effect of increased orderliness in society. Indices of economic health and growth also improved. These were astonishing findings. In cities around the United States, a few hundred people meditating twice daily in their homes were reducing crime and improving quality of life city-wide, without even knowing it. Scientists named this phenomenon the Maharishi Effect. When we practice the Transcendental Meditation technique, our brain functioning becomes markedly more orderly, more integrated and coherent. This increased coherence in brain functioning radiates into the environment around us. The result: People around us behave in more orderly, life-nourishing ways. The principle at work here is that coherence is stronger than incoherence. We see this phenomenon in nature. In your heart, a small number of cells, called pacemaker cells, induce the whole heart to function in an orderly way. In an iron bar, when the spins of a small percentage of the electrons become aligned, all other electrons come into alignment, creating a magnet. In ordinary light, if just a small number of the photons, approximately the square root of the total, are stimulated to move in phase with one another, then a new type of collective behavior emerges—laser light, with all its extraordinary properties. In other words, when just a small percentage of the elements in a physical system begin to function coherently, the whole system undergoes a dramatic shift toward more coherent functioning. And now we see this same phenomenon at work in human society. Suppose you live in a city of 100,000 people—like South Bend, Indiana, or Erie, Pennsylvania. According to the 1% formula, all these cities need is 1% of their populations—just 1,000 people—to be practicing the Transcendental Meditation technique for the city to experience reduced crime, accident, and suicide rates. These cities could achieve this number if all the students in a few schools or all the employees in a few businesses would learn the Transcendental Meditation technique. The schools and businesses would be transformed, and they would lift up the whole city as a spontaneous byproduct. But even with this, there’s another shortcut. In the late 1970s, Maharishi brought out an advanced meditation program that he said would accelerate the benefits of the Transcendental Meditation technique. He called it the TM-Sidhi program. This program consists of a set of procedures that are every bit as simple, natural, and effortless as the Transcendental Meditation program. How does this powerful advanced program work? The Transcendental Meditation technique enables the mind to settle inward, beyond thoughts and perceptions. This process culminates in the experience of pure consciousness—the field of pure awareness at the source of thought, an infinite reservoir of creativity and intelligence. The TM-Sidhi program trains the mind to think and act from this powerful level. This gives us the ability to fulfill our desires with greater ease. One of the procedures of the TM-Sidhi program is called Yogic Flying. Studies of brain functioning have found that during practice of this technique, there is a dramatic upsurge of coherence in brain functioning. The effect of this increased coherence is so powerful that Maharishi predicted even a small number of people—the square root of 1% practicing together in one place—could create a measurable effect in the surrounding society. This means that South Bend and Erie no longer need to find 1,000 students or employees to practice the Transcendental Meditation technique. Now they just need the square root of 1,000—about 33 people—practicing the TM and TM-Sidhi programs, including Yogic Flying, together in one place twice each day. This is a very manageable number. Over the past 35 years, this approach to peace has been tested all over the world, at every scale of society. “Yogic Flying groups” have been assembled that have been large enough to measurably improve the quality of life for cities, states, whole countries, regional groups of countries, and for the whole world. 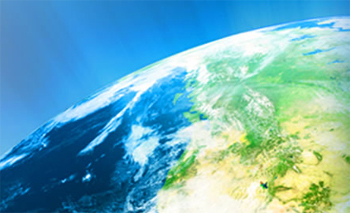 These groups have assembled in the U.S., Latin America, Europe, Africa, the Middle East, India, Southeast Asia, and the Far East. In many cases, the predicted results were announced publicly in advance of the gathering. And the predicted results have been demonstrated in every case. Some 50 studies on the Maharishi Effect have been conducted to date. In each of these studies, the evidence consists of open, publicly gathered statistics that anyone can verify. The Maharishi Effect has been confirmed to a degree of certainty unprecedented in the social sciences, and even the physical sciences. Social science research has shown that war has its origin in rising social tension and stress. If you can reduce collective tension, you can neutralize the possibility of war. This is what the Maharishi Effect does. Assembling a sufficiently large group of Yogic Flyers is like switching on a light for the whole society—the quality of life improves almost immediately. No other approach to peace has ever succeeded in creating permanent peace—not peace treaties, political negotiations, military interventions. This is because we have not addressed the root of the problem. The key to solving social problems is to create coherence in collective consciousness, and this is easily accomplished. We now have a technology not only of enlightenment, but of peace. Every time you close your eyes to practice Transcendental Meditation, you are helping create coherence and peace in the population around you. If you learn the TM-Sidhi program, including Yogic Flying, you will create an even more powerful effect. If you practice these programs in a large group, the effect becomes incredibly powerful. Since the late 1970s, there has been a large group of Yogic Flyers in Fairfield, Iowa, at the campus of Maharishi University of Management. This group aims to create coherence for all of North America. The square root of 1% of the population of North America is around 2,000. We have achieved that number on a few occasions, but we need to make it permanent—2,000 people practicing the Transcendental Meditation and TM-Sidhi programs twice a day in the Golden Domes in Fairfield. We warmly invite you to come and join us. As the scientific research studies abundantly demonstrate, the best thing you can do for yourself is also the best thing you can do for the world. Just close your eyes—and create world peace.